UK: Dong Energy and Siemens-Gamesa Renewable Energy are linking up with British academic research centres to advance technological progress and cut the costs of offshore wind-generated electricity. The UK’s engineering and physical sciences research council (ESPRC) will provide £3.2 million (€3.65 million) to support the programme. Dong and SGRE are adding a further £2.5 million, and the contributions from the universities of Sheffield, Durham and Hull takes the project’s funding to a total of £7.5 million. Dong already has a a partnership with Durham University, funding a chair in renewable energy position at Durham Energy Institute and endowing three science masters degrees scholarships for students each year. 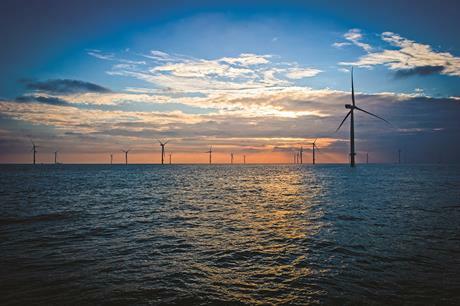 "As we build more offshore wind farms in the UK, we are investing heavily in operations and maintenance activities, so understanding if these costs can reduced by condition monitoring is key in our aim to reduce costs further," said Benj Sykes, Dong’s UK country manager. "We look forward to the outcome of bringing together two global leaders in offshore wind with world class academic researchers," he said.